Heads up, moms and dads: When your child heads back to school in a couple months, their classroom curriculum should not be the only thing on your mind. 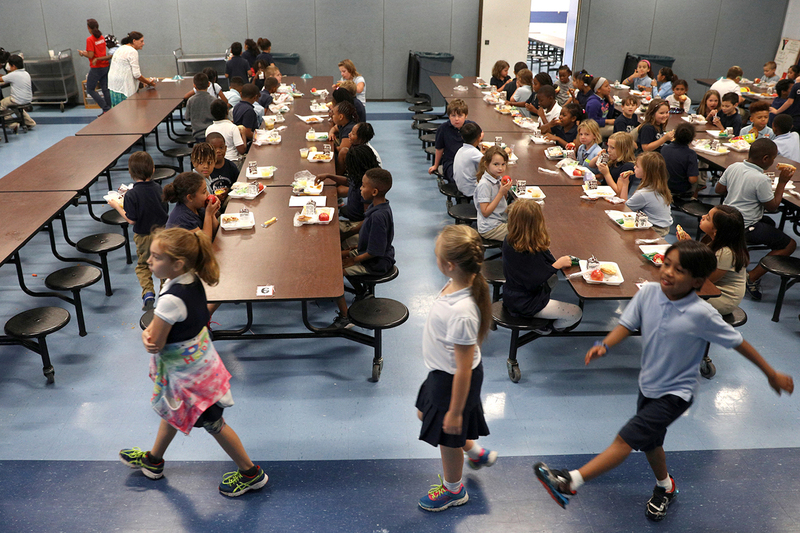 Right now, while you’re trying to wrangle your kiddos at home, school officials are putting the final touches on written policies for how staffers will collect lunch debt from you and your children. Despite the fact that about 75% of school districts ended the 2015-16 school year with unpaid school lunch tabs on their books, many districts don’t have a formal policy on how to handle it when hungry kids can’t pay for their meals. Tactics range from sending children home with stamps on their hands that read “I need lunch money” to lunchroom staffers taking hot lunches away from children and replacing them with cold cheese sandwiches. Critics call those practices lunch shaming, and child psychologists say the negative impact can be immediate and lasting. What Will Be in Lunch Debt Policies? The U.S. Department of Agriculture, the government agency that heads the national school lunch program, is requiring districts to complete the written policies this month. While it has not put forth many mandates for what the lunch debt policies must contain, it did provide 72 pages of guidelines and best practices to help school districts shape their rules. The USDA suggests sending escalating reminders when lunch account balances drop below $5. It suggests starting with written reminders then progressing to personal phone calls and in-person reminders as balances become negative and remain unpaid. The USDA also suggests procedural changes to reduce the risk of embarrassing children. One idea is to move the register from the end of the line to the beginning. The hope is this will prevent instances that require cafeteria workers to take a hot lunch away from a student who can’t pay. Finally, the USDA also provided alternatives to some of the most common lunch-shaming tactics. For example, rather than sending clearly marked notices home with children when their lunch account balances are low, the USDA suggests sending notices home in plain white envelopes or including them with the normal school communications all children receive. What’s Prohibited by the USDA? While the USDA created the best practices with input from school officials, school districts still get to decide what’s best for them in all instances, except in one specific case. No school district can ask volunteers, “especially the parents or guardians of other students, to request payment from a family with unpaid meal charges,” the guidelines said. Unless a family gives specific consent, only appropriate personnel trained in the USDA’s confidentiality requirements can communicate with families about lunch debt.